Natural eye tonic: Take 250g each of almonds, fennel (saunf), and mishri (crystallized sugar). Soak the almonds overnight, and make a powder of it after peeling. Fry fennel with a few drops of ghee and powder it as well. Mix the three together and store in a glass bottle. Mix two spoons of this in milk and drink to improve eyesight within three to six months. Diet for good eyesight: Diet plays a very important role in Ayurveda, for your overall health. For better eyesight, your diet should include fruits and vegetables rich in Vitamin A such as carrots, oranges etc. You can also include cabbage, tomatoes, lettuce, cabbage, soya beans, dates and green peas in addition to fresh milk and cheese. Almonds are great for eyesight as well. Herbs that improve eyesight: In Ayurveda there are certain herbs that have many intrinsic benefits. Triphala is one of these, and bhringraj or amla oil when applied over the eyes helps in enhancing eyesight. A teaspoon of powdered asparagus, and half a teaspoon of honey mixed together with milk is a wonderful natural tonic to help improve eyesight. Easy exercises for eyesight: There are a few simple exercises that you can do every day that will benefit your eyes. Close both your eyes by shutting them firmly, and then open them suddenly. After you open them, stretch your face and arch your brows – practice this every day a few times. You can also rotate your eyes in different directions and slowly concentrate on one eye at a time. Try doing this a dozen times in a day. You can also rub your palms together and then place your hand over your eyes without touching the eyelids to reduce strain on the eyes and improve eyesight. Triphala Rasayana: Triphala Rasayana is made by combining 100g of yellow myrobalan, 200g of bahera myrobalan, 400g of amla, and 700g of liquorice. Combine these ingredients after powdering them and store them in a glass bottle. Half a spoon of this mixed with ghee and a spoon of honey should be taken twice a day. This is a wonderful herbal mixture that is proven to enhance eyesight over time. The above tips will help you improve your eyesight and maintain healthy eyes over time. 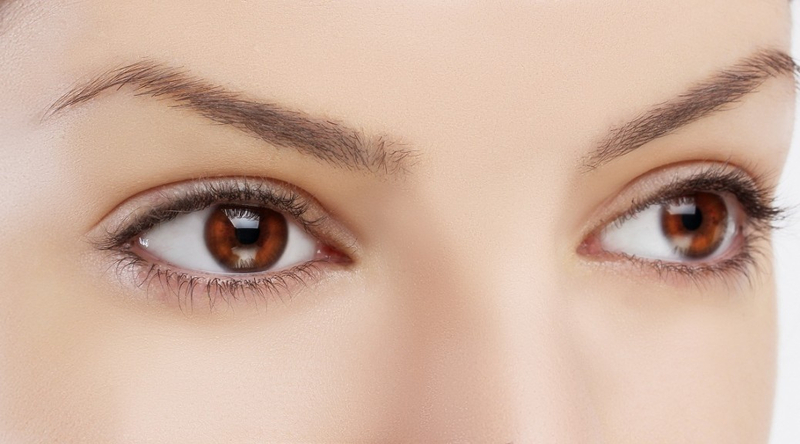 Incorporating these good habits for the eyes into your routine is a great way to ensure that no issues arise for you when it concerns your eyes. In addition, whenever you use technology, do not forget to blink at regular intervals. If you have been working for a very long time, take a break and focus on another object or close your eyes for sometime – it helps your eyes take a break from being focused on the computer or smartphone screen. Interested in herbal, side effect-free solutions to health issues? Check out our range of herbal Ayurvedic products here.